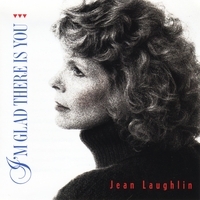 Jean lends her buttery vocals and heartfelt interpretations to this jazz album of 9 standards and 1 original. Released in 1992, this is the first album I recorded after having taken a long break to raise my children. While recording this, I discovered that I needed to say more than what was offered to me in the standards I so loved. I wrote my first song, "I Want Affection," for this album. After that I decided to write all of my songs and have done so for the 4 (and a 5th in the works) I have recorded since. I tried to interpret some of these standards a little differently from what I had been brought up with--just for fun !